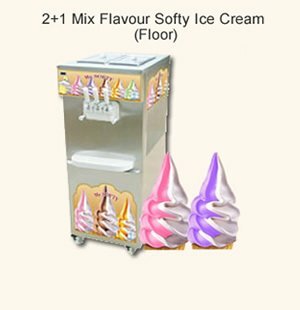 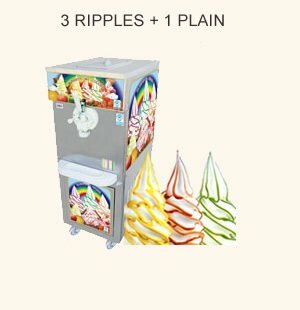 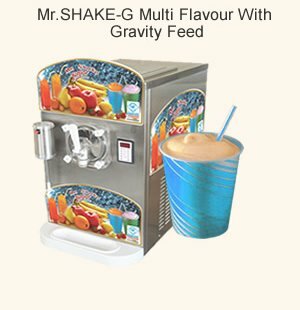 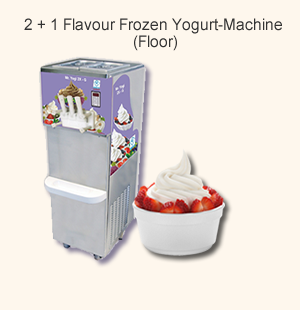 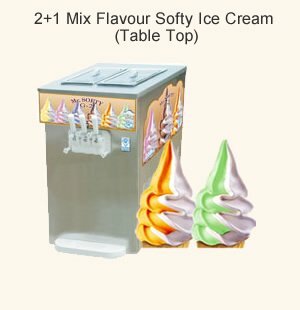 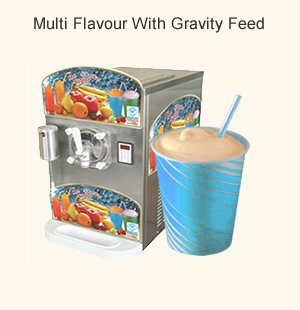 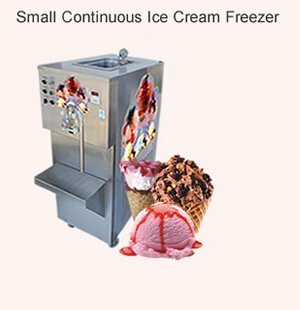 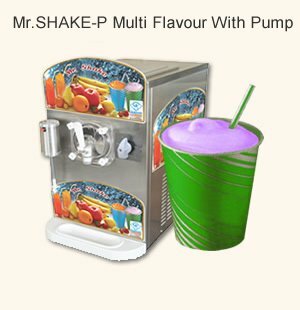 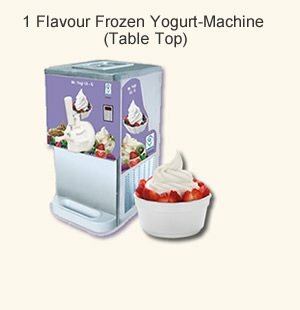 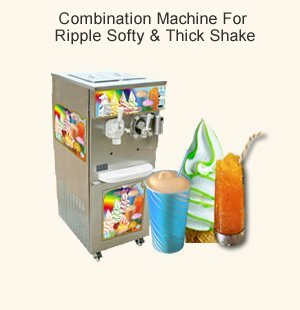 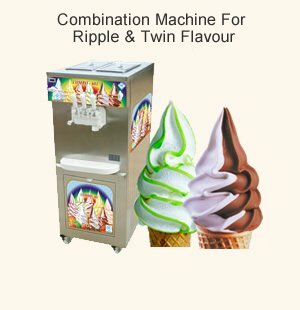 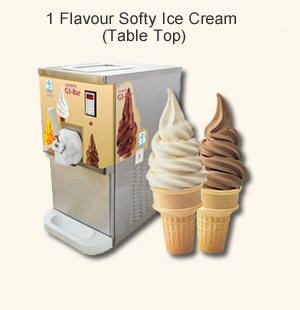 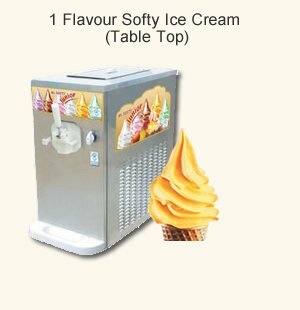 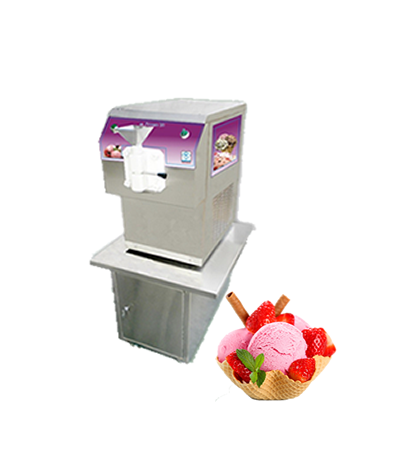 Pour a ice cream mix into the machine and turn the switch, this starts an automatic cycle of ice cream production. 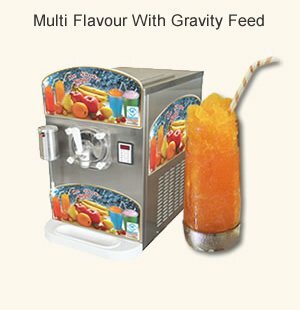 Once the right consistency has been reached, press unique over run button to incorporate air inside the product up to 100% and now it is ready to extract. 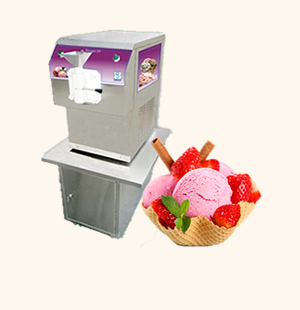 Open the lever and turn the switch, the ice cream comes out fast and completely. 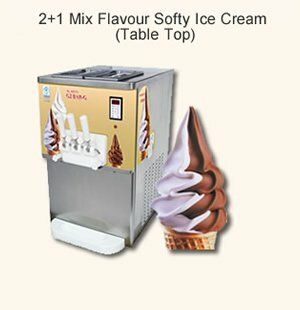 Compact model & Elegant look. 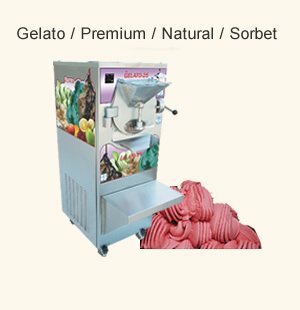 Environment friendly "CFC" free refrigerant and "CFC" free thermal insulation. 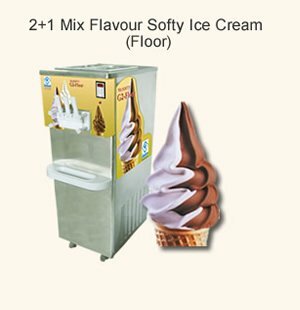 Used S.S pre coated sheet for outside cover. 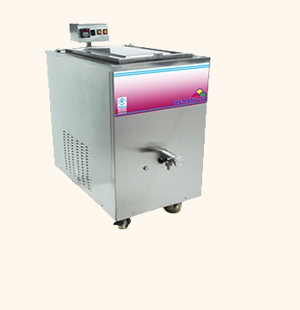 The machine with air cooled compressor.